Catherine Joy “C.J.” Perry is an American professional wrestling valet, professional wrestler, model, actress, dancer and singer. C.J. Perry is currently performing for the professional wrestling promotion WWE under the ring name Lana. C.J. Perry was signed by World Wrestling Entertainment in June 2013 and she was sent to NXT, eventually assigned to WWE’s developmental territory WWE NXT. C.J. Perry debuted in NXT on the October 23, 2013 episode of NXT, under the ring name “Lana”, scouting Alexander Rusev during his match against C.J. Parker. On the November 6 episode of NXT, Lana revealed to Sylvester Lefort that Rusev was now her client, and she later accompanied him to the ring as he defeated Lefort in a one-on-one match. In December 2013, the duo of Rusev and Lana were compared to Ivan and Ludmilla Drago, the antagonists of the 1985 film Rocky IV. Lana made her main roster debut on the January 31, 2014 episode of SmackDown, managing Rusev in a dark match defeating Tyson Kidd. As of January 31, 2014 Lana began to appear in a vignettes hyping Rusev’s forthcoming main roster debut. On 27 February, at the NXT Arrival special episode, Lana appeared along with Rusev when he interrupted an match attacking Tyler Breeze and Xavier Woods. Lana made her official main roster debut on the February 28 episode of SmackDown, on the stage presenting Rusev. January 10-12, 2014 – Live Event: Alexander Rusev w Lana defeated Justin Gabriel in a dark match. January 15, 2014 – Main Event: Alexander Rusev w Lana defeated Tyson Kidd in a dark match. January 22, 2014 – NXT: Alexander Rusev w Lana defeated Xavier Woods. January 26, 2014 – Royal Rumble: Alexander Rusev w Lana was in the Royal Rumble match won by Batista. January 29, 2014 – Main Event: Alexander Rusev w Lana defeated Tyson Kidd in a dark match. February 5, 2014 – NXT: Alexander Rusev w Lana defeated Sin Cara. February 5, 2014 – Main Event: Alexander Rusev w Lana defeated Tyson Kidd in a dark match. February 12, 2014 – Main Event: Alexander Rusev w Lana defeated Dolph Ziggler in a dark match. February 19, 2014 – Main Event: Alexander Rusev w Lana defeated Zack Ryder in a dark match. March 1-2, 2014 – Live Event: Alexander Rusev w Lana defeated Zack Ryder. 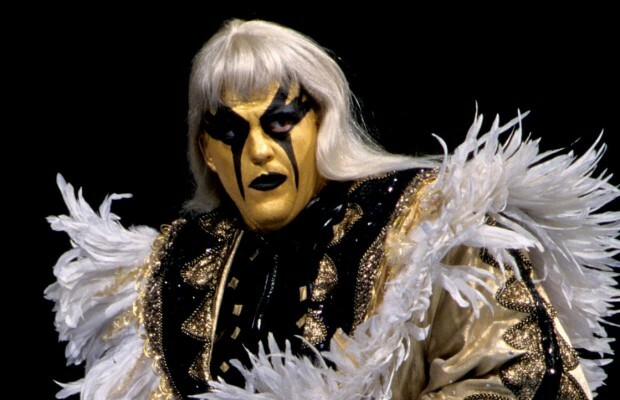 March 28, 2014 – SmackDown! : Alexander Rusev w Lana defeated Darren Young in a dark match. April 7, 2014 – RAW: Alexander Rusev w Lana defeated Zack Ryder. April 8, 2014 – Main Event: Alexander Rusev w Lana defeated Sin Cara. April 14, 2014 – RAW: Alexander Rusev w Lana defeated Xavier Woods w R-Truth. April 18, 2014 – SmackDown! : Alexander Rusev w Lana defeated R-Truth w Xavier Woods. April 21, 2014 – RAW: Alexander Rusev w Lana defeated Sin Cara. April 24, 2014 – NXT: Rusev w Lana defeated Travis Tyler. April 25-27, 2014 – Live Event: Rusev w Lana defeated Zack Ryder. April 28, 2014 – RAW: Rusev w Lana defeated Xavier Woods w R-Truth by disqualification. May 2, 2014 – SmackDown: Rusev w Lana defeated R-Truth w Xavier Woods by disqualification. May 4, 2014 – Extreme Rules: Rusev w Lana defeated R-Truth and Xavier Woods in a handicap match. May 5, 2014 – SmackDown! : Rusev w Lana defeated Kofi Kingston. May 9, 2014 – SmackDown! : Rusev w Lana defeated Kofi Kingston. May 14-18, 2014 – Live Event: Rusev w Lana defeated Sin Cara. May 19, 2014 – RAW: Alexander Rusev w/Lana defeated Heath Slater. May 20-24, 2014 – Live Event: Rusev w/Lana defeated Zack Ryder. May 26, 2014 – RAW: Rusev w/Lana defeated Zack Ryder. June 1, 2014 – Payback: Rusev w/Lana defeated Big E.
June 6, 2014 – SmackDown: Rusev w/Lana defeated Xavier Woods. June 7, 2014 – Live Event: Rusev w/Lana defeated R-Truth. June 8, 2014 – Live Event: Rusev w/Lana defeated Big E.
June 9, 2014 – RAW: Rusev defeated Zack Ryder. June 10, 2014 – Main Event: Rusev w/Lana defeated Kofi Kingston. June 15, 2014 – Live Event: Rusev w Lana defeated Curtis Axel. June 16, 2014 – RAW: Rusev w Lana defeated Heath Slater. June 17, 2014 – Main Event: Rusev w Lana defeated Santino Marella. June 27, 2014 – SmackDown: Rusev w Lana defeated Sin Cara. June 29, 2014 – Money in the Bank: Rusev w Lana defeated Big E by submission. July 7, 2014 – RAW: Rusev w Lana defeated Rob Van Dam. July 11, 2014 – SmackDown: Roman Reigns defeated Rusev w Lana by disqualification. July 20, 2014 – Battleground: Rusev w Lana defeated Jack Swagger by count-out. July 22, 2014 – Main Event: Jack Swagger defeated Rusev w Lana by disqualification. July 25-27, 2014 – Live Event: Rusev w Lana defeated Jack Swagger. August 8, 2014 – SmackDown: Rusev w Lana defeated Big E.
August 17, 2014 – SummerSlam: Rusev w Lana defeated Jack Swagger in a flag match. August 22, 2014 – SmackDown: Rusev w Lana defeated Sin Cara. August 25, 2014 – RAW: Rusev w Lana defeated Jack Swagger after the referee stopped the match due to Swagger’s physical condition. August 29, 2014 – SmackDown: Rusev w Lana defeated Jack Swagger in a submission match. September 1, 2014 – RAW: Rusev w Lana defeated Zack Ryder. September 19, 2014 – SmackDown: Rusev w Lana defeated Roman Reigns by disqualification. September 21, 2014 – Night of Champions: Rusev w Lana defeated Mark Henry. September 22, 2014 – RAW: Rusev defeated Mark Henry after the referee stopped the match because Henry passed out from a submission hold. September 26, 2014 – SmackDown: Big Show defeated Rusev w Lana by disqualification. October 10, 2014 – SmackDown: Rusev w Lana defeated WWE Intercontinental champion Dolph Ziggler in a non-title match. October 13, 2014 – RAW: Rusev w Lana defeated the Big Show by disqualification. October 14, 2014 – Main Event: Rusev w Lana defeated Big E.
October 20, 2014 – RAW: Rusev w Lana defeated Big E.
October 26, 2014 – Hell in a Cell: Rusev w Lana defeated the Big Show. October 31, 2014 – SmackDown: Rusev w Lana defeated the Great Khali. November 3, 2014 – RAW: Rusev w Lana defeated Zack Ryder. November 3, 2014 – RAW: Rusev w Lana defeated WWE United States champion Sheamus to win the title. November 6, 2014 – NXT: Rusev w Lana defeated Jack Swagger in a dark match. November 10, 2014 – RAW: WWE United States champion Rusev w Lana defeated Sheamus to retain the title. November 17, 2014 – RAW: WWE United States champion Rusev w Lana defeated Heath Slater in a non-title match. November 21, 2014 – SmackDown: WWE United States champion Rusev w Lana defeated Dolph Ziggler in a non-title match. November 23, 2014 – Survivor Series: Team Cena [John Cena, Dolph Ziggler, Ryback, Erick Rowan, and the Big Show] defeated Team Authority [Kane, Mark Henry, WWE United States champion Rusev w Lana , Seth Rollins, and WWE Intercontinental champion Luke Harper] in a traditional Survivor Series elimination match. Dolph Ziggler was the sole survivor. November 28, 2014 – SmackDown: WWE United States champion Rusev w Lana won a battle royal to retain the title. The participants included: Sin Cara, Adam Rose, Justin Gabriel, Heath Slater, Rusev, The Miz, Damien Sandow, Big Show, Erick Rowan, The Usos, Los Matadores, Stardust, Goldust, Cesaro, Tyson Kidd, Titus O’Neil, Curtis Axel, and Jack Swagger. December 14, 2014 – TLC…and Stairs: WWE United States champion Rusev w Lana defeated Jack Swagger to retain the title. December 26, 2014 – SmackDown: Dean Ambrose defeated WWE United States champion Rusev w Lana by disqualification. Rusev retains the title. December 29, 2014 – RAW: WWE Intercontinental champion Dolph Ziggler defeated WWE United States champion Rusev w Lana by disqualification in a non-title “champion vs. champion” match. January 2, 2015 – SmackDown: Roman Reigns defeated WWE United States champion Rusev w Lana by disqualification in a non-title match. January 12, 2015 – RAW: WWE United States champion Rusev w Lana defeated Dean Ambrose in a non-title match. January 13, 2015 – Main Event: WWE United States champion Rusev w Lana defeated Justin Gabriel in a non-title match. January 19, 2015 – RAW: WWE United States champion Rusev w Lana defeated R-Truth in a non-title match. January 22, 2015 – SmackDown: Ryback defeated WWE United States champion Rusev w Lana in a ‘Royal Rumble Qualifier Match’. January 25, 2015 – Royal Rumble: Roman Reigns wins the 30-man Royal Rumble match to become the #1 contender for the WWE world heavyweight championship. The order of elimination: Miz, R-Truth, Bubba Ray Dudley, Curtis Axel, Luke Harper, Boogeyman, Sin Cara, Zach Ryder, Tyson Kidd, DDP, Fandango, Daniel Bryan, Adam Rose, Kofi Kingston, Stardust, Goldust, Mizdow, Titus O’Neil, Big E, Ryback, Jack Swagger, Wade Barrett, Cesaro, Dolph Ziggler, Bray Wyatt, Dean Ambrose, Kane, Big Show, and Rusev w Lana . February 2, 2015 – RAW: WWE United States champion Rusev w Lana fought Erick Rowan to a ‘no contest’ in a non-title match. February 5, 2015 – SmackDown: WWE United States champion Rusev w Lana defeated Erick Rowan in a non-title match. February 6-8, 2015 – Live Event: WWE United States champion Rusev w Lana defeated Erick Rowan to retain the title. February 12, 2015 – Live Event: WWE United States champion Rusev w Lana defeated Erick Rowan to retain the title. February 13, 2015 – Live Event: Dean Ambrose and John Cena defeated w Lana Rusev and Luke Harper. February 14, 2015 – Live Event: WWE United States champion Rusev w Lana defeated Jack Swagger to retain the title. February 22, 2015 – Fastlane: WWE United States champion Rusev w Lana defeated John Cena to retain the title. March 5, 2015 – SmackDown: WWE United States champion Rusev w Lana defeated Jack Swagger in a non-title match. March 9, 2015 – RAW: WWE United States champion Rusev w Lana defeated Curtis Axel in a non-title match. March 29, 2015 – WrestleMania: John Cena defeated Rusev w Lana to win the United States title. April 9-12, 2015 – Live Event: WWE United States champion John Cena defeated Rusev w Lana to retain the title. April 22, 2015 – SmackDown! : Ryback defeated Rusev w Lana by disqualification. April 26, 2015 – Extreme Rules: WWE United States champion John Cena defeated Rusev w Lana in a Russian chain match to retain the title. Lana was getting a strong reaction from the crowd in which Rusev decided to send her to the locker room area. May 2-3, 2015 – Live Event: Ryback defeated Rusev w Lana. May 4, 2015 – RAW: Rusev w Lana defeated Fandango. May 8, 2015 – Live Event: Ryback defeated Rusev w Lana. May 17, 2015 – Payback: WWE United States champion John Cena defeated Rusev w Lana to retain the title in a I Quit match to retain the title. Lana said to the referee that Rusev quit which resulted Rusev loosing the match. May 18, 2015 – RAW: Lana explained her actions from last night saying that Rusev said the words i quit in Bulgarian. Lana then kissed Ziggler who got attacked by Rusev. Lana slapped Rusev and left. May 25, 2015 – RAW: Rusev appeared on raw injured and still tried to sway Lana away from Ziggler. June 1, 2015 – Monday Night Raw: Dolph Ziggler w Lana defeated Kofi Kingston w Xavier Woods and Big E.
June 5, 2015 – Main Event: Dolph Ziggler w Lana defeated Adam Rose w Rosa Mendes. June 22, 2015 – Raw: Dolph Ziggler w Lana defeated Adam Rose w Rosa Mendes. June 24, 2015 – SmackDown! : Sheamus defeated Dolph Ziggler w Lana. June 29, 2015 – RAW: Dolph Ziggler and Lana confirmed in a segment that they are in a relationship. Rusev came out with Summer Rae in which led to Lana attacking Summer Rae. August 17, 2015 – RAW: Lana came out to confront Rusev and Summer Rae for Rusev’s attack to Dolph Ziggler last week. August 23, 2015 – SummerSlam: Dolph Ziggler (w/Lana) vs. Rusev (w/Summer Rae) ended in a double count-out. August 24, 2015 – RAW: Cesaro, Dolph Ziggler, Randy Orton and Ryback (w/Lana) defeated Kevin Owens, Rusev, Sheamus and The Big Show (w/Summer Rae). August 31, 2015 – RAW: Dolph Ziggler (w/Lana) defeated Rusev (w/Summer Rae) by disqualification. December 7, 2015 – RAW: Rusev (w/Lana) vs. Ryback ended in a double count-out. December 13, 2015 – TLC: Rusev w Lana defeated Ryback. May 5, 2016 – SmackDown: Rusev w Lana defeated Zack Ryder. May 9, 2016 – RAW: Sin Cara w Kalisto defeated Rusev w Lana. May 12, 2016 – SmackDown: Rusev w Lana defeated Sin Cara. May 13, 2016 – NXT Live Event: Carmella and Daria defeated Emma and Lana. May 22, 2016 – Extreme Rules: Rusev w Lana defeated Kalisto to win the WWE United States title. May 26, 2016 – SmackDown: WWE United States champion Rusev w Lana defeated Kalisto to retain the title. May 30, 2016 – RAW: WWE United States champion Rusev w Lana defeated Zack Ryder to in a non-title match. June 11, 2016 – Main Event: WWE United States champion Rusev w Lana defeated Sin Cara in a non-title match. June 10-12, 2016 – Live Event: Becky Lynch, Sasha Banks anf Summer Rae defeated Dana Brooke, Eva Marie and Lana. June 24, 2016 – Main Event: WWE United States champion Rusev w Lana defeated Zack Ryder in a non-title match. June 27, 2016 – RAW: Titus O’Neil defeated WWE United States champion Rusev w Lana by count-out. June 30, 2016 – SmackDown: WWE United States champion Rusev w Lana defeated Cesaro to retain the title. July 14, 2016 – SmackDown: Dolph Ziggler defeated WWE United States champion Rusev w Lana in a non-title match. July 18, 2016 – RAW: WWE United States champion Rusev w Lana and Sheamus defeated Zack Ryder and Dolph Ziggler. July 19, 2016 – SmackDown Live: Darren Young and Zack Ryder defeated Rusev w Lana and The Miz w Maryse. Rusev along with Lana gets drafted to RAW at #16. July 23, 2016 – Live Event: WWE United States champion Rusev defeated Kalisto and Sami Zayn in a 3-way match to retain the title. July 24, 2016 – Battleground: WWE United States champion Rusev w Lana defeated Zack Ryder to retain the title. July 25, 2016 – RAW: Finn Balor defeated Cesaro, Kevin Owens and Rusev w Lana in a 4-way match to advance in tonight’s main event. July 29, 2016: Rusev married Lana in Malibu, California. August 1, 2016 – RAW: WWE United States champion Rusev w Lana defeated Mark Henry to retain the title. August 8, 2016 – RAW: WWE United States champion Rusev w Lana defeated Cesaro to retain the title. August 27-28, 2016 – Live Event: WWE United States champion Rusev w Lana defeated Cesaro to retain the title. September 1, 2016 – Superstars: WWE United States champion Rusev w Lana defeated Jack Swagger in a non-title match. September 19, 2016 – RAW: WWE United States champion Rusev w Lana vs. Seth Rollins in a non-title match ended in a double count-out. September 25, 2016 – Clash of the Champions: Roman Reigns defeated Rusev w Lana to win the United States title. September 26, 2016 – RAW: Roman Reigns vs. Rusev w Lana ended in a double count-out to retain the United States title. October 10, 2016 – RAW: Roman Reigns and Sasha Banks defeated Charlotte and Rusev w Lana. November 7, 2016 – RAW: Sami Zayn defeated Rusev w Lana to become #1 contender for the Intercontinental title. December 14, 2016 – Tribute to the Troops (Taped): Big Cass and Roman Reigns defeated Kevin Owens and Rusev w Lana. December 18, 2016 – WWE Roadblock: End Of The Line 2016 Kick Off: Rusev w Lana defeated Big Cass by count-out. December 19, 2016 – RAW: Rusev w Lana defeated Big Cass by disqualification. January 23, 2017 – RAW: Braun Strowman, Jinder Mahal, Rusev w Lana and Titus O’Neil defeated Big Cass, Enzo Amore & The New Day (Big E and Kofi Kingston). January 29, 2017 – Royal Rumble: Rusev w Lana was in the Royal Rumble match won by Randy Orton. January 30, 2017 – RAW: Big Cass and Enzo Amore defeated Jinder Mahal and Rusev w Lana in a tornado rules match. February 10, 2017 – Main Event: Rusev w Lana defeated Sin Cara. February 13, 2017 – RAW: Sami Zayn defeated Rusev w Lana. February 20, 2017 – RAW: Big E and Kofi Kingston w Xavier Woods defeated Jinder Mahal and Rusev w Lana. February 27, 2017 – RAW: Big E and Xavier Woods w Kofi Kingston defeated Jinder Mahal and Rusev w Lana. March 5, 2017 – Fastlane: The Big Show defeated Rusev w Lana. 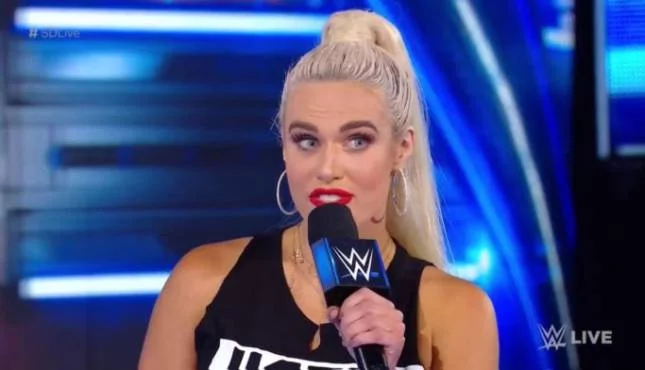 Lana got taken off television due to Rusev shoulder injury. April 11, 2017 – SmackDown Live: Lana & Rusev were both drafted to SmackDown Live as part of the Superstars Shakeup. May 5, 2017 – NXT Live Event: Lana defeated Sarah Bridges. June 6, 2017 – SmackDown Live: After a series of vignettes from Lana coming to SmackDown Live, she finally made her debut by interrupting the ladies in saying she wanted to compete in the 1st ever money in the bank ladder match for the women’s division. Later in the night she interfered in the 6 woman’s tag team match, causing Naomi the match. She later asked Shane McMahon for a title shot at the Money In The Bank PPV and Naomi & Shane accepted. June 18, 2017 – Money In The Bank: Naomi defeated Lana to retain the SmackDown Live women’s title. June 27, 2017 – SmackDown Live: Naomi defeated Lana to retain the SmackDown Live women’s title. July 4, 2017 – SmackDown Live: Naomi defeated Lana to retain the SmackDown Live women’s title. July 15, 17, 2017 – Live Event: Becky Lynch, Charlotte Flair and Naomi defeated Carmella, Lana, Natalya and Tamina in a handicap match. August 12-13, 2017 – Live Event: Becky Lynch, Liv Morgan and Naomi defeated Carmella, Lana, Natalya and Tamina in a handicap match. August 26-28, 2017 – Live Event: Becky Lynch and Charlotte Flair defeated Lana and Tamina. January 28, 2018 – Royal Rumble: Lana entered the Royal Rumble match at #13 but was won by Asuka. March 12, 2018 – Live Event: Becky Lynch, Charlotte Flair & Naomi defeated Carmella, Lana & Natalya and The Riott Squad (Liv Morgan, Ruby Riott & Sarah Logan) in a 3-way tag team match. March 31, 2018 – Live Event: Becky Lynch, Charlotte Flair & Naomi defeated Carmella, Lana & Natalya and The Riott Squad (Liv Morgan, Ruby Riott & Sarah Logan) in a 3-way tag team match. April 2, 2018 – Live Event: Becky Lynch, Charlotte Flair & Naomi defeated Carmella, Lana & Natalya and The Riott Squad (Liv Morgan, Ruby Riott & Sarah Logan) in a 3-way tag team match. April 8, 2018 – WrestleMania 34 Kickoff: Lana was in the WrestleMania Women’s Battle Royal won by Naomi. April 21-23, 2018 – Live Event: Naomi defeated Lana. May 19, 2018 – Live Event: Asuka, Charlotte Flair and Naomi defeated Lana, Mandy Rose and Sonya Deville. September 1-3, 8-9, 2018 – Live Event: Lana and Rusev defeated Andrade Almas and Zelina Vega. September 16, 2018 – Hell In A Cell Kickoff: The New Day (Big E and Kofi Kingston) w Xavier Woods defeated Rusev Day (Aiden English and Rusev) w Lana to retain the tag team titles. 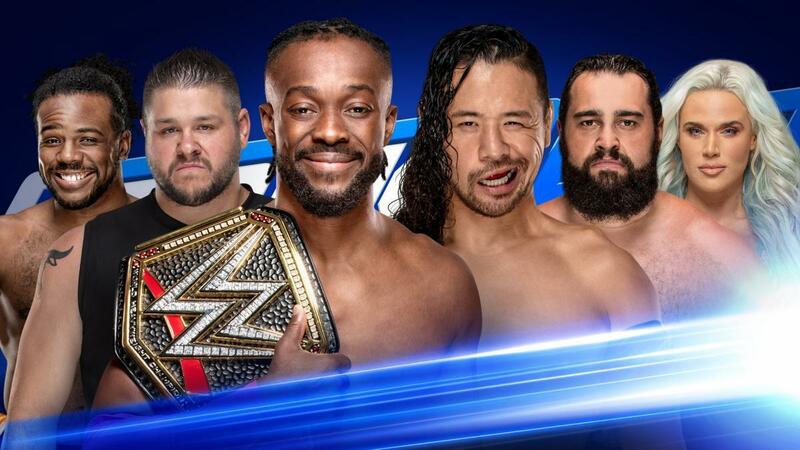 September 18, 2018 – SmackDown Live: WWE United States champion Shinsuke Nakamura defeated Rusev w Lana to retain the title. September 25, 2018 – SmackDown Live: WWE SmackDown Live women’s champion Becky Lynch defeated Lana in a non-title match. October 2, 2018 – Mixed Match Challenge: Jimmy Uso and Naomi defeated Lana and Rusev. October 23, 2018 – SmackDown Live: Rusev w Lana defeated Aiden English. October 28, 2018 – Evolution: Lana was in the battle royal won by Nia Jax. November 3, 5, 8-9, 2018 – Live Event: Lana and Rusev defeated Carmella and R-Truth. November 24, 2018 – Starrcade: Rey Mysterio and Rusev w Lana defeated Shinsuke Nakamura and The Miz. December 8-9, 2018 – Live Event: Lana defeated Billie Kay. Lana defeated Peyton Royce.